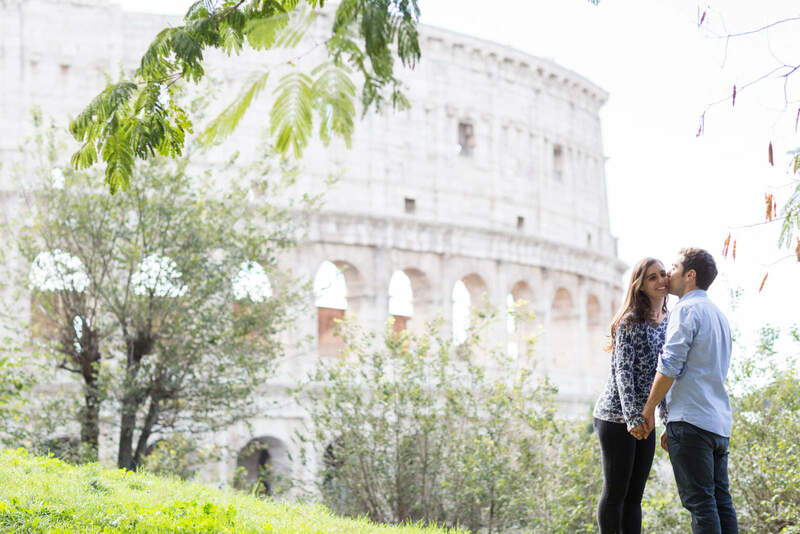 Rome is place we have chosen for this engagement session this time was the Italian marvellous capital, which is as eternal and magnificient as Angelo and Anna hope their marriage will be. 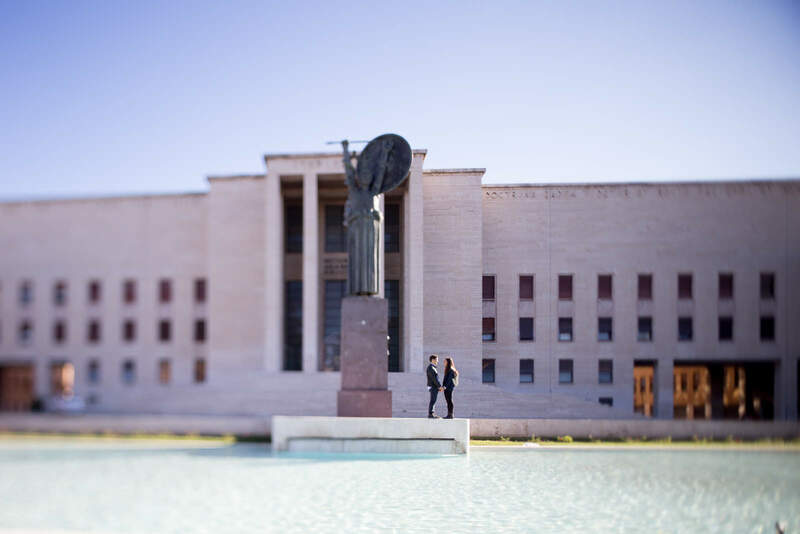 They met in Rome at the same university but they both live in Basilicata, a small region in southern Italy. Not only they enjoyed their engagement session, they also had the chance to spend a few hours hand in hand going around in the place that will host their love, going back to their time as student visiting their university – where they managed to make the most of the possibility of getting closer – and giving each other some profound kisses surrounded by a suggestive urban background. They gaze at each others on the stairs of the church they’re going to get married in, wondering how much rice will be flying around that day as their dear ones applaude and celebrate that moment of their lives. He imagines her wearing a pretty white wedding dress, walking to him to pronounce the fateful “Yes, I do”. His shiny eyes are already wondering how beautiful his bride will be that day. They waited for it so much that it seems unreal and in a matter of a very short time, they will finally be able to crown their dream and live that kind of experience they will always remember as one of those things for which it’s really worth being alive. It’s going to be one of the most wonderful and unforgettable moments of all for sure, and they already feel that sense of family that only blossoms when two persons are meant to be one thing together. They walked through the streets celebrating their love cuddling and kissing each other, ready to start a new beginning full of love and intense complicity between them. They retracted the university where their relationship was born, thinking about the time they spent exchanging loving sights. A walk through the leaves arch to bring themselves to the shore of love. Under the columns they spent some time gazing and smiling like they were completely surrounded by their powerful feelings. From smilies to kisses they went around the city where the backgrounds were just perfect for such two young and exceptional lovers like them. She laughs and she is very carefree, she looks at him thinking about the future they will go through together; she knows how much he loves her. At the end of the engagement, the couple was in front of the Colosseum. The Colosseum is one of the most important symbols of Rome and it represents the historicity but above all the eternity. The enormous monument in the distance behind them really evokes something astonishingly big and intense like the life-lasting love they will feel for each other after being married. The best Rome engagement session I’ve ever had, so romantic, so simple. Look at their wedding gallery..